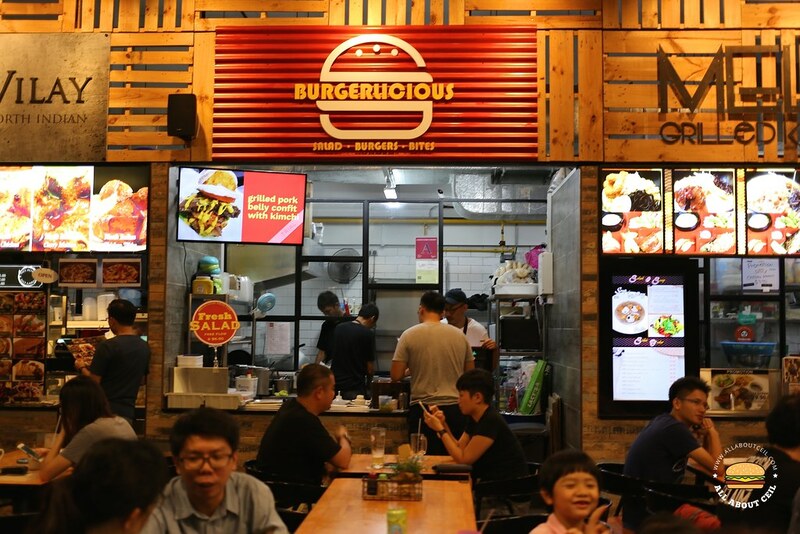 Burgerlicious is a new burger stall that recently opened on 19 June 2017 at M38, an "atas" coffee shop along Jalan Pemimpin, within walking distance from Marymount MRT. It is brought to you by the same people behind Seasalt - The Seafood Place that used to be at Salute, a coffee shop in Jalan Bukit Merah before moving to the current location about a year ago. Ernest Ang is one of the owners and he was there when I placed my order. I decided on the Burgerlicious Cheesy ($9.50) and when I was asked whether I want it with side dishes, I asked for a recommendation. There are choices of Potato Tots ($2.00), Sweet Potato Fries ($2.50) and Onion Tails ($2.50). Ernest recommended that I should go with Sweet Potato Fries which I did. 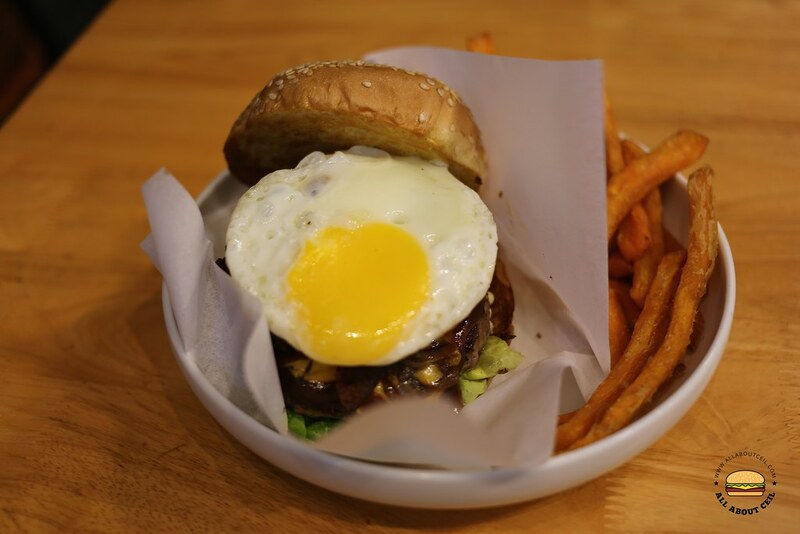 Other than the classics burgers, some of their signatures are Grilled Pork Belly Confit Burger ($10.00), Pork Bulgogi Burger ($9.00) and Kung Pao Chicken Burger ($9.50). 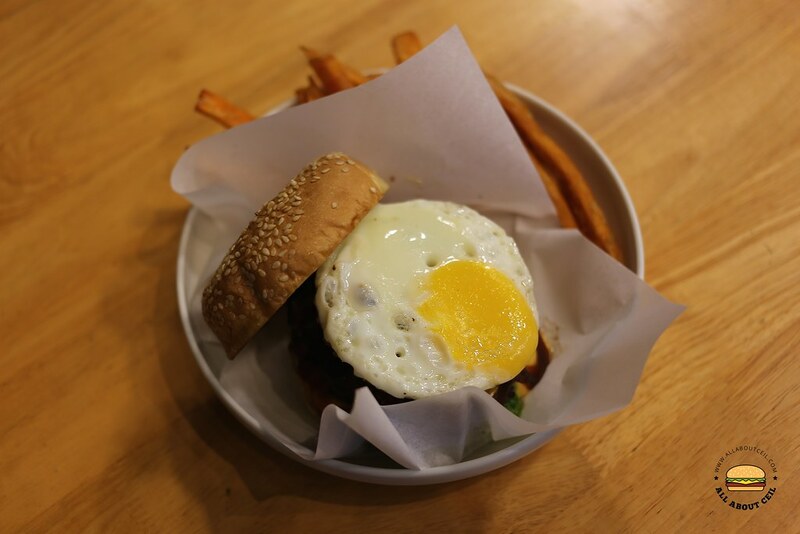 Burgerlicious Cheesy consists of a grilled Australian beef patty, mayo, greens, nacho cheese, smoking BBQ sauce, sauteed onions, bacon, tomato and a sunny-side-up egg. Ernest came over to our table and he asked, "How's the food?". He said he has been doing so to collect feedbacks from his customers in order to improve on it further. And, he said, "I also went around trying other burgers and comparing them to mines." He listed out some of the famous ones that he tried like the recently opened 25 Degrees, Two Blur Guys, Fatboy's The Burger Bar and even Corner Burger. And, the burger from 25 Degrees is amongst his favourite choices. He even showed us the food pictures that he took on his phone. 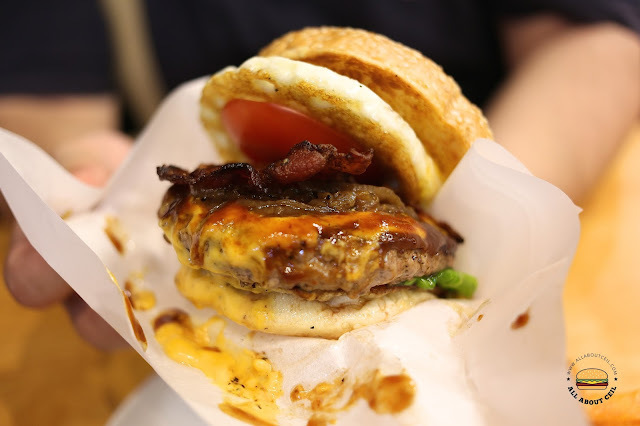 He shared, "I ever went to a burger stall and asked for their recommendation before deciding what to eat. The owner was telling me that all of their 9 choices of burgers are good which I am not convinced, there must be something special or a more popular item amongst these burgers." He said, "I do not cook the burgers all the time but I supervise and make sure that my workers can deliver the same standard. I have friends coming over and they requested that I cook for them but instead, I tell them that let my workers cook for you as they are the ones that do most of the cooking and who knows, they are able to cook better than me." I was impressed with the burger but I felt that the price is a little on the high side which I shared with Ernest. It would be more acceptable if it is served with sides for $9.50 and not just the burger itself. Again, I suppose most of the customers would not mind paying a little more for better quality and also, to take into consideration that their rental is much higher therefore it is somewhat acceptable. I enjoyed chatting with Ernest. He is passionate, humble and rather knowledgeable in the food business, which impressed me. He said, "If you come back 6 months later and the burger stall is still here, this means it made it." We shall wait and see but I do hope that they will do well and stay around as they do serve one of the better burgers. Thank you cecila for dropping by burgerlicious. It was great fun chatting with you. May i share this post on burgerlicious facebook page please? Please go ahead to do so, Ernest. Honestly it's expensive if u compared to Burgs by project warung, all burgers come with fries at affordable prices range from $4.5 ~ $7. ahjames, thank you for your comment on the price. 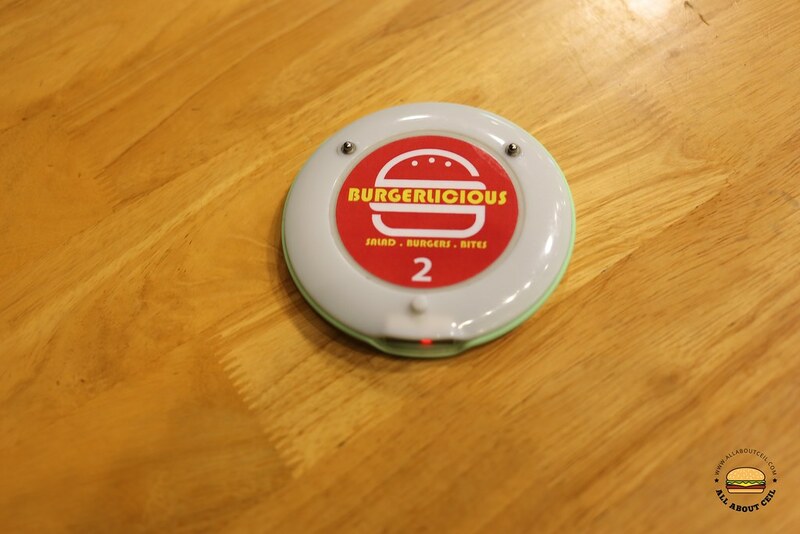 At burgerlicious we welcome all sincere comments and feedback. Have you try our burgers yet? I am not here to defend on the price of my burgers. But at burgerlicious, we believe in giving customers the value that they paid for. If we are able to price our burgers cheaper than famous fast food chains, there must be alot of compromise on the quality of the burgers which cater to different customers needs. There are indeed a wide range of food in Singapore that caters to alot of taste buds and pockets. That was my initial thought as well but again, have to take into consideration that their rental is much higher.